Everywhere you look there are articles about staying hydrated … for winter, for your skin, to be healthier and so on. But what about your Wedding Day, this day of all days it is so important to drink water throughout the day. It’s easy to start the day with mimosas, rush out for outdoor pictures in the sun, celebrate with a glass of champagne and get whisked off to your ceremony. Soooo before you know it it’s 7pm and you haven’t had a drop of water before you even start your reception with a full bar. 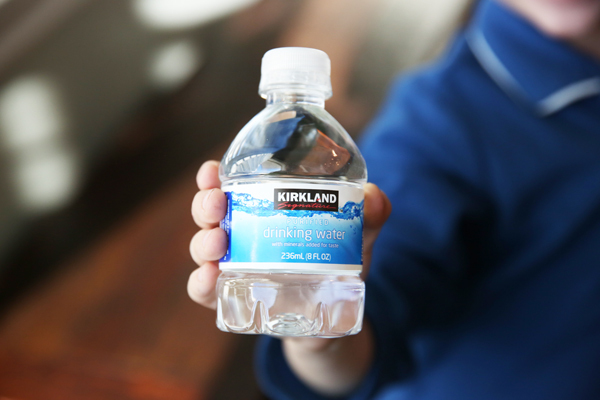 Best advice is to keep to “mini” water bottles handy throughout the day. They are compact, easy to transport and just drinking a few throughout the day will sure keep you hydrated and feeling your best while not educing a bathroom break every 15 minutes. 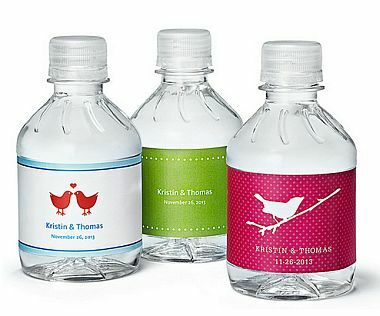 You can find them at costco or any super market … or you can personalize them just for your wedding day! Drink Up Lovely’s!